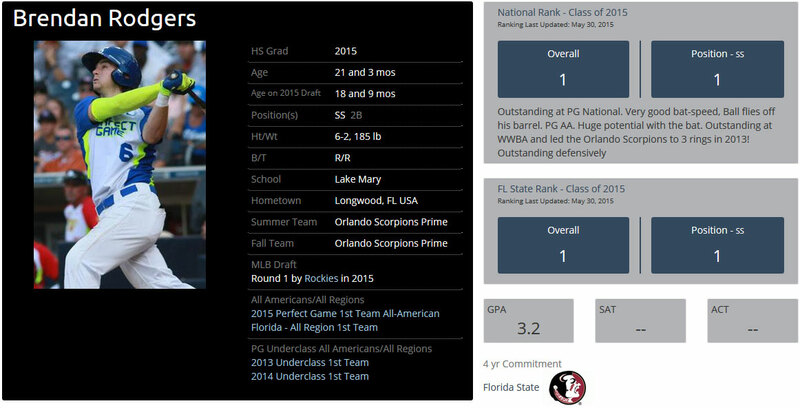 In today’s fast paced world, Perfect Game is committed to supplying information to coaches and scouts as quickly and efficiently as possible across all social media platforms. Including accounts @PerfectGameUSA and @PGShowcases (Over 110K followers). While it’s not necessary to attend a Perfect Game Showcase to be ranked, it has become a big advantage for many players as it is the only way to guarantee a full scouting evaluation from our main scouting staff and get a PG Grade which is then immediately factored in to our national rankings. Getting to see a player in both a full workout and games at a showcase is the best way for us to properly rank a player. A huge percentage (well over 90 percent) of the top players in the country attend multiple Perfect Game events each year. No other scouting service has helped more kids reach their aspiration of playing baseball at the next level than Perfect Game. PG prides itself in the ability to assist players in their search to find their new collegiate home and continue their playing careers. Since 2003, over 10,000 PG Alumni have been selected in the MLB draft with well over 1,000 players making their Major League Baseball debuted. Many players have relied on Showcases to maximize their national exposure. Make the investment in yourself to show Perfect Game and the rest of the baseball community your skills. Who knows, maybe we will see you at the National / Jr. National Showcase or even the PG All-American Classic.